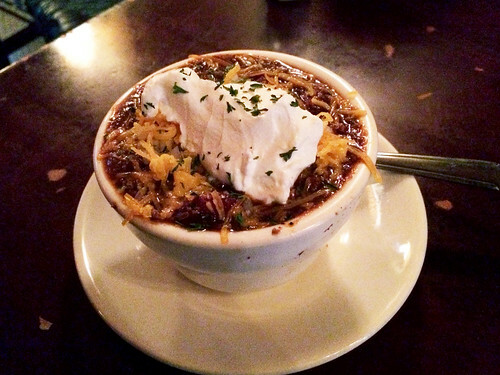 In brief: Hold your horses, we discover the chili at Old Town and are blown away. We've tried a handful of accompaniments to the perfection of the hot dogs and french fries at Old Town but it was only today that we have found THE ONE. It was the unexpectedly cool day with the air conditioning still blasting everywhere, that drove us to order each a small cup of chili before the main attraction. And wow was that chili good, spicy enough to say BAM but not so spicy you couldn't finish off the bowl. I'm excited about winter and this new winning combination.